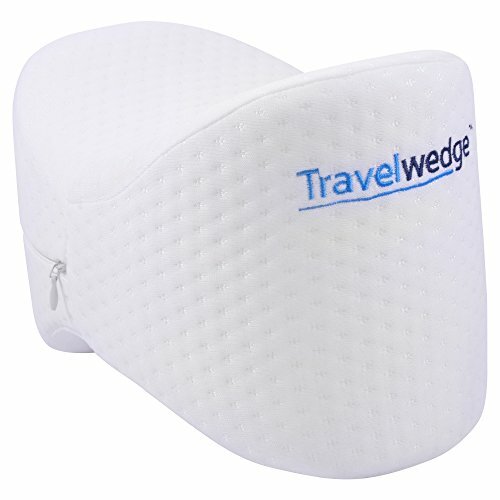 This is the Memory Foam Orthopedic Knee Pillow by Travelwedge. Lightweight, portable, with a soft, breathable, removable, easy clean cover. Do you have trouble sleeping because of sciatic or nerve pain? Does your back pain keep waking you up at night? If sciatic pain, lower back pain or hip discomfort keeps you awake at night, the Travelwedge 100% Memory Foam Knee pillow can help alleviate your pain. FULLY GUARANTEED: money back guarantee if you are not 100% satisfied, no questions asked! If you have any questions about this product by TravelWedge®, contact us by completing and submitting the form below. If you are looking for a specif part number, please include it with your message.